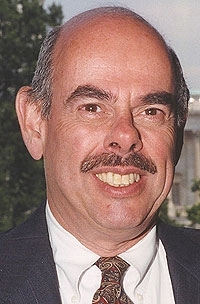 U.S. Rep. Henry Waxman: Compromise reached. WASHINGTON -- The automobile industry would receive free pollution credits to make electric and advanced-technology vehicles under a compromise reached by House Democrats on a bill to cut greenhouse-gas emissions. The industry would get 3 percent of all free permits for their factories from 2012 to 2017, and 1 percent of such allowances after that through 2025, House Energy and Commerce Committee Chairman Henry Waxman said today in a statement. The credits seek to cut business costs while companies find ways to reduce their emissions. They would eventually be phased out and sold at auction. The agreement on allowance values will spur more innovation and new green-job creation here at home, Rep. John Dingell, D-Mich., said in a statement. The rest of the free permits would be given to heavy manufacturers, utilities, oil refineries and others, Waxman, D-Calif., told reporters today. Utilities would get 35 percent of the total. The provision is part of a larger bill that calls for a cap and trade system in which the government sets a national limit on greenhouse gas emissions and lowers it over time. Some companies could buy pollution credits to cover their emissions. Waxman scheduled a possible vote on the bill for Monday. The compromise among Democrats lowers the goal for greenhouse gas emissions to a 17 percent reduction by 2020 from an original objective of 20 percent. The bill will also include a fleet modernization provision in which the government would provide vouchers of up to $4,500 to customers who trade in their gas guzzlers for new fuel-efficient vehicles.